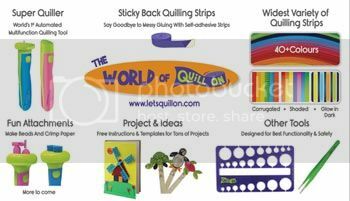 Welcome to the first in the Quilling for Kids series! My daughter is 6 years old and has been practicing quilling since she was 4 years old. Her preference has always been to use pieces that I have made to make shapes, but she is now starting to be pretty good at making shapes herself! So she will now be starring in occasional posts with tutorials (and even some video tutorials!) 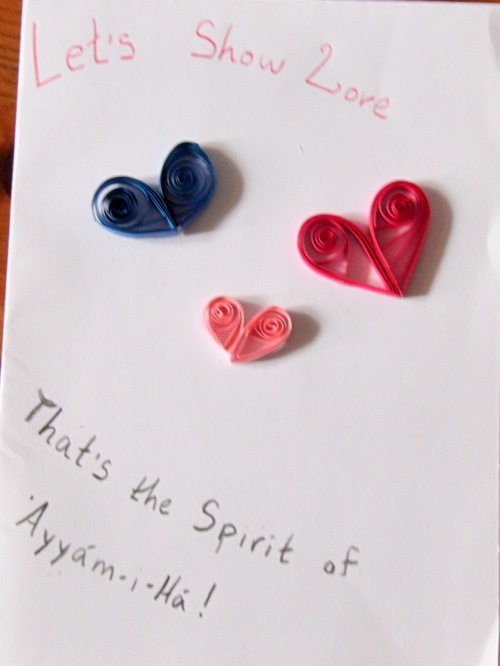 on easy quilling projects for kids. So today is the first one! This project is good for kids about age 5 and up. These easy hearts are perfect to use on greeting cards, frames, notebooks, and anything else that needs a little decorating 🙂 Wo without further ado, let’s get started! Gather your supplies. Use shorter strips of paper for smaller hearts, and longer strips for larger roses. 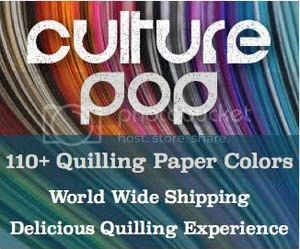 In this tutorial we used 6″ strips of paper. Put your strip of paper into the slotted tool and roll it. Hold the paper gently but firmly as you roll it, keeping it straight. When you have finished rolling the strip, let go to allow it to expand. Gently push it off of the tool. Dab a small bit of glue to the end and hold it closed. You will have to hold it for several seconds to make sure it has stuck. Repeat with the other strip. Make sure that both rolls are the about the same size. Pinch each circle to make it into a teardrop shape. Using a small dab of glue, attach both teardrops together into a heart shape. Let it dry. Once it has dried you can leave it as a wide heart, or you can pinch the pointed part of the heart to make a more narrow heart shape. These little hearts would be perfect for your Valentine cards or any other project you have in mind! This is a perfect beginning project to do with kids. If you give it a try, drop me a line and let me know how it went!